Some lawmakers expressed opposition to the 2019 fiscal budget, suggesting other sectors and areas, such as renewable energy, should be prioritized over defense. The issue was once again brought into the limelight as politicians and gamers debated if a game featuring Nazi material should be doctored in line with German law which prohibits the display of “anti-constitutional symbols” in computer and video games. 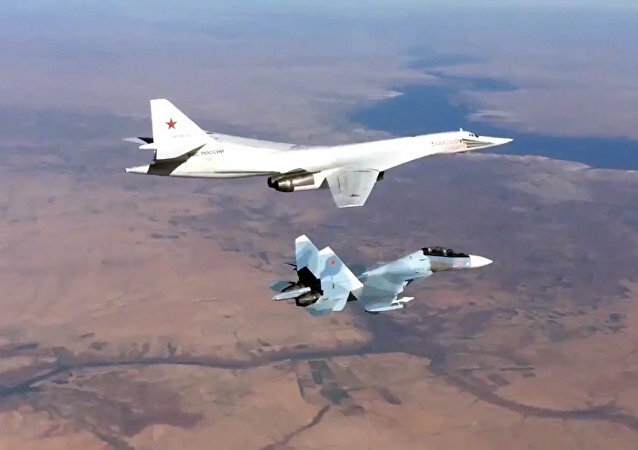 The US-led coalition’s military intervention in Syria is under increasing levels of scrutiny, with critics arguing that the coalition has no mandate to conduct military operations in the Arab Republic as it doesn’t have Damascus’ approval to do so. The Alternative for Germany (AfD) Party is continuing its efforts to repatriate Syrian refugees, formally urging the German federal government and the EU to lift their debilitating sanctions against Syria's economy. 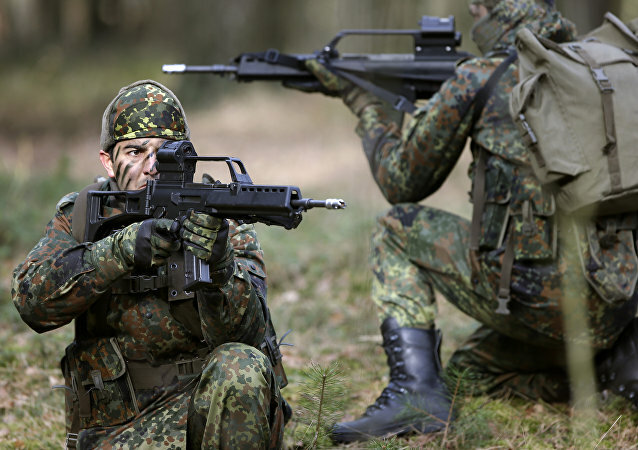 After being kicked out of the World Cup, Germany turned to a showdown of a different nature. 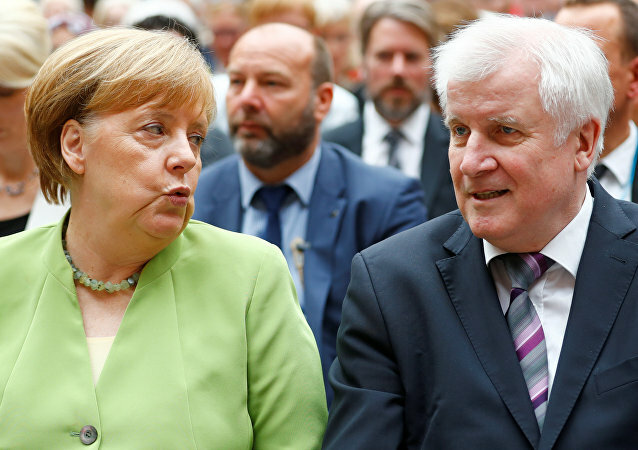 To follow the migration row between Chancellor Angela Merkel and Interior Minister Horst Seehofer, which escalated after the latter offered to step down, local netizens came up with #MERSEE. The uncertainty Brexit has brought about, especially with EU-UK negotiations making little headway, is pushing Brits to consider and prepare for all eventualities, including the prospect of a “hard Brexit” scenario, which could see them lose their right to live and work in the union. The Alternative for Germany (AfD) party has unsurprisingly been very critical of the German federal government’s proposals to assist refugees, including those who formerly had ties to hardline Islamist groups, with bringing their families to Germany, as part of the country’s family reunification program. 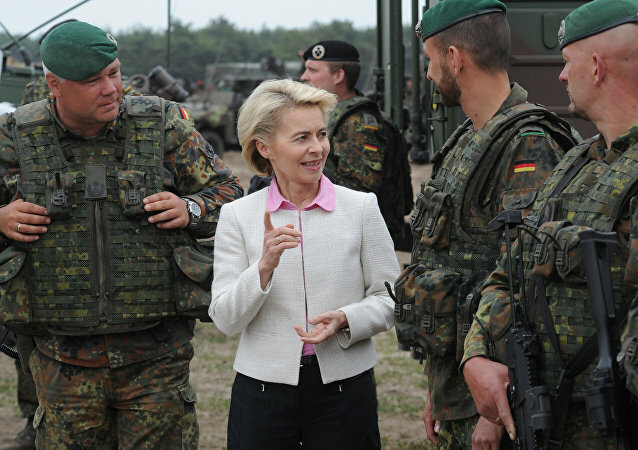 The poor state of Germany’s armed forces, the Bundeswehr, and Berlin’s failure to meet NATO’s defense spending target – two percent of GDP – have emerged as sources of criticism for the German Ministry of Defense and Minister Ursula von der Leyen herself. German Chancellor Angela Merkel’s open-door migrant policy has proven to be a major source of criticism for her and her government, with Germany’s generous spending on migrant welfare, including on migrants who formerly had ties to Islamist groups, drawing condemnation. US President Donald Trump has threatened to attack Syria in retaliation to an alleged chemical attack which he quickly blamed on the Syrian government. Damascus has repeatedly denied using chemical weapons and has vowed to defend itself in the event of military aggression by the West. 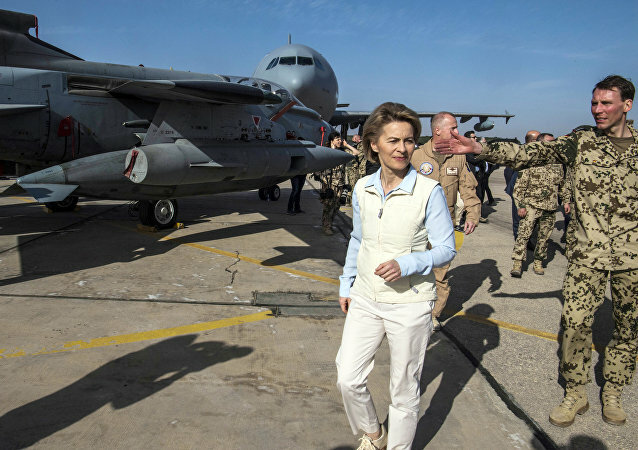 German Defense Minister Ursula von der Leyen has come under fire from the rightwing Alternative for Germany (AfD) party over her “wrong priorities” for upgrading the Bundeswehr, Germany’s armed forces. On Wednesday German Justice Minister Heiko Maas said that the country would abolish an "outdated and unnecessary” 19th-century law requiring government permission to prosecute someone accused of insulting a foreign head of state. 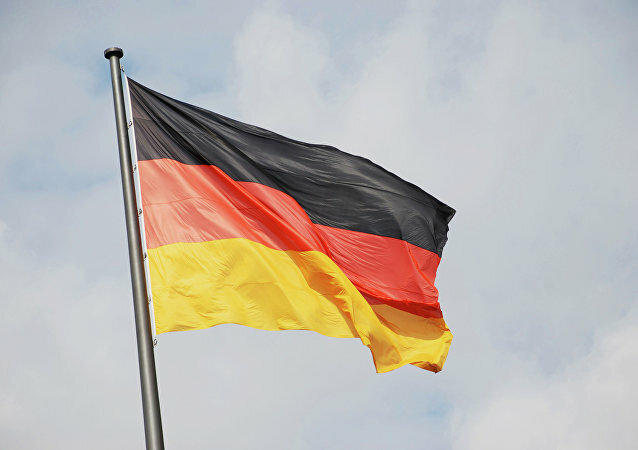 Political extremism in Germany has risen sharply in the past year, with far-right, far-left and Islamist extremist groups becoming more violent and brutal, the country's domestic intelligence agency has said. 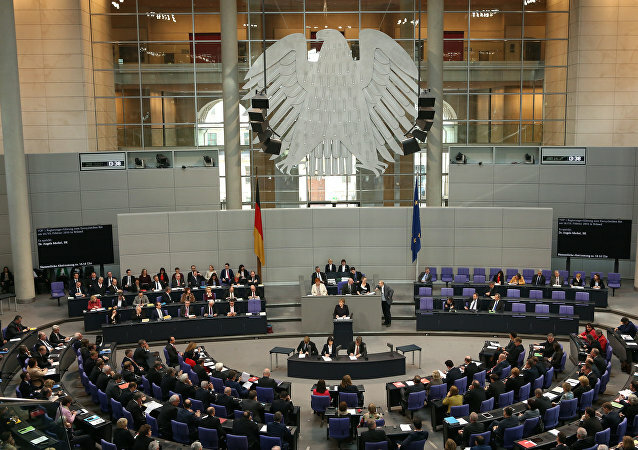 The German government is concerned over a new Turkish law stripping a number of the country's lawmakers of their parliamentary immunity, German government spokesman Steffen Seibert told reporters on Friday.